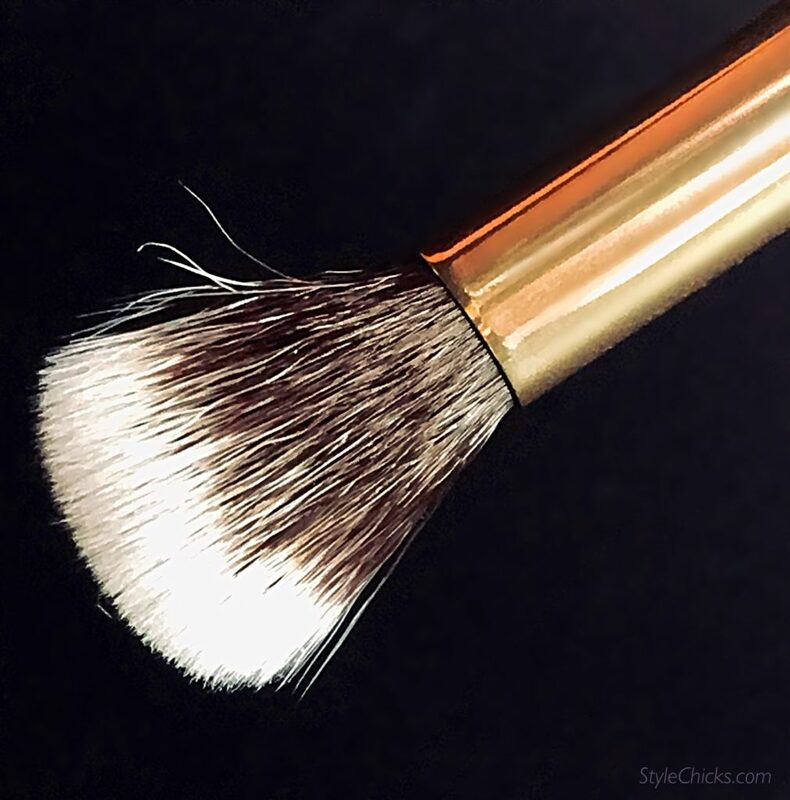 Quality brushes are key to precise makeup application, especially around the eyes. Brushes are also more hygienic than dipping a finger or sponge repeatedly into a makeup jar or pan. But most of the time, the applicator brushes that come with makeup are low-quality, difficult to use, and deliver inferior results. They are in general, kind of awful. 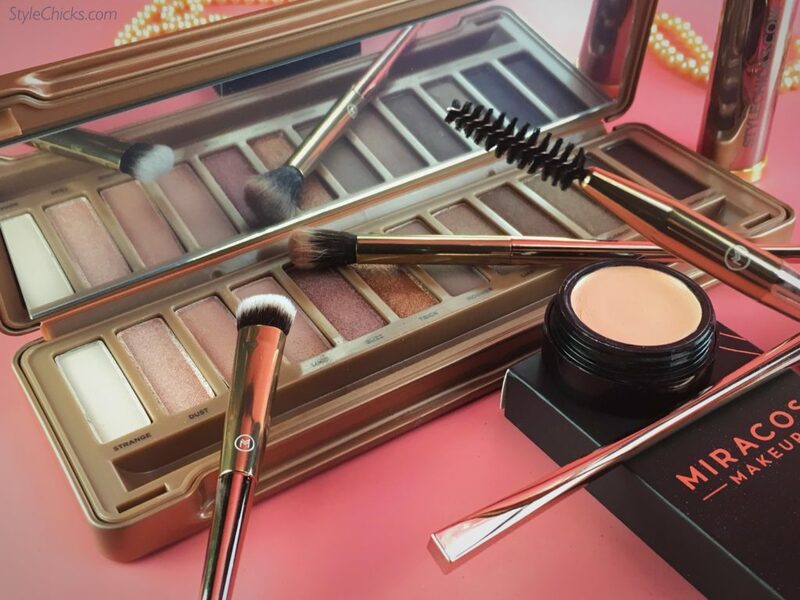 Quality brushes are hard to find and often pretty pricey, so we were pleased to find Miracos Makeup Essential Luxury Eye Brush Kit, consisting of four attractive, quality brushes with long, balanced handles in a lovely rose gold design. 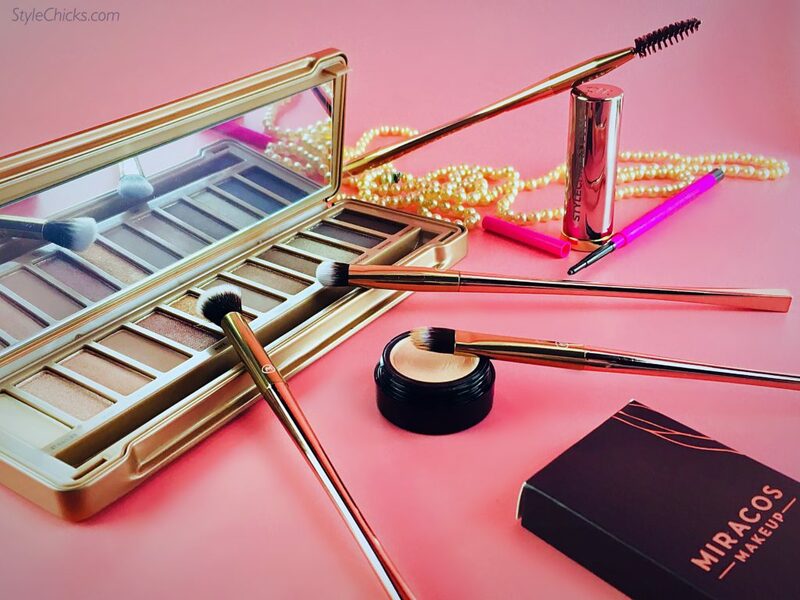 The rose gold tone is so pretty on my makeup table! 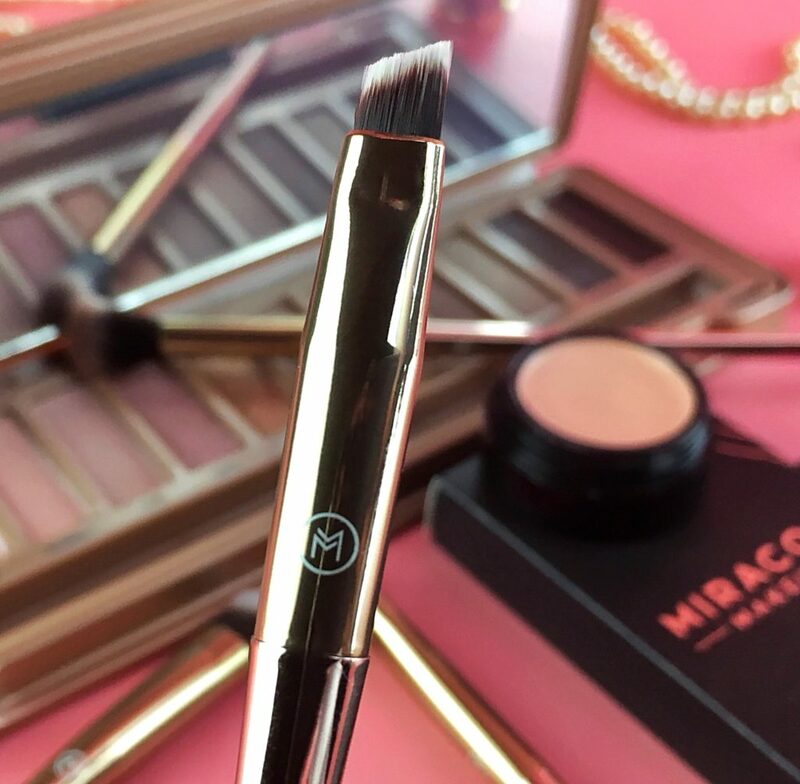 Each Miracos Makeup brush is a metallic, shiny rose gold tone and bears a simple yet elegant M insignia logo. The brushes are well-made with bristles that hold up to use and to washing without shedding. The bristles are soft on the delicate eye area but contoured well enough to get the job done. 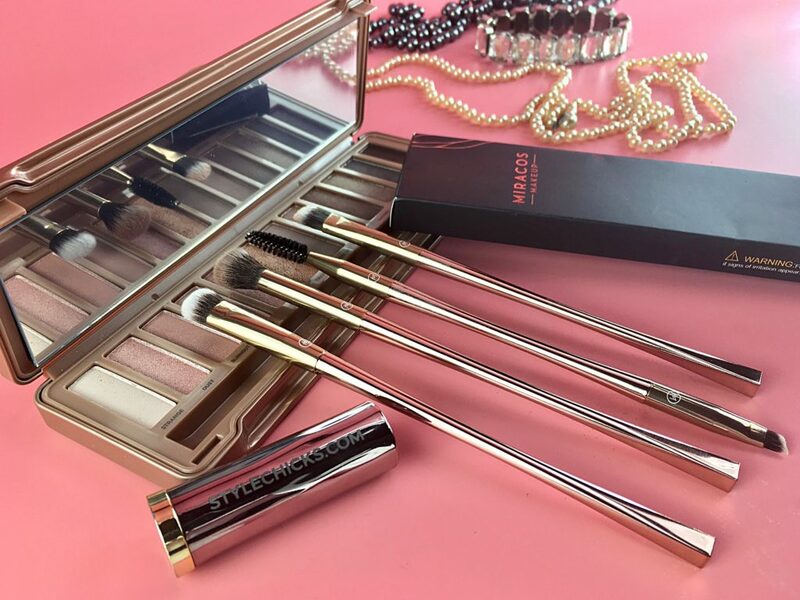 LONG BALANCED HANDLES: Something I especially like about this Miracos Makeup set is the long, easy to grip handles that are just heavy enough to be weighted well for use, but not uncomfortable in my hand. There is an ergonomic bend to the curve for ease of grip. The Dual-End Eyeliner & Brow brush is intended for use on the eyebrows and creating a soft eyeliner line. One side has a large quality spoolie brow brush. HOW I USE IT: I use the spoolie end of the brow brush both to generally groom my brows and to best apply brow product. I first brush my brows down so I can best assess where to apply eyebrow powder, gel, liner or product. This also helps me draw in my arch. I apply the brow product, generally a gel or cream, with the angled end applying in short, natural strokes not a straight harsh line. I find the angle and thin precision top of this Miracos brush creates a more hair-like line. Then I brush my brows back up with the spoolie end and use the spoolie to blend in the brow product. I find this brush down technique highly useful for filling in my arch and tail and getting a natural look that creates a strong, youthful and even brow but not full on obviously fake Joan Crawford Mommy Dearest brows. Spoolies are also useful for applying a bit of gel or hairspray to the brows to keep them in place. In a pinch, they are also useful for combing through dry mascara for any unexpected clumps. The other side of the Dual-End Eyeliner & Brow Brush is an angled liner brush. The bristles are slightly stiff but not too hard for delicate skin. The angle is sharp and the bristles come to a tidy thin line for precise product application. I like how thin a line it creates and how I can place eyeliner or brow product exactly where I want it. I like it for a soft line on the lower lid. I have been guilty of sticking my finger in a pot of concealer and likely contaminating the whole thing, which is especially bad around the eye area or any blemish you are intending on concealing. So I especially like that this Flat Concealer Brush has lots of bristles but a good contoured taper to it to get in just where you need to conceal and not get excess concealer all around the spot. It is also flat which helps me angle into position, and to tap it lightly on the skin and not rub, which is something I tend to do with my fingers, stretching my skin AND just moving product around instead of setting it in place. The Miracos Makeup Flat Concealer Brush works with creamy thick concealers or liquid to apply and blend a thin, precise layer of coverage. 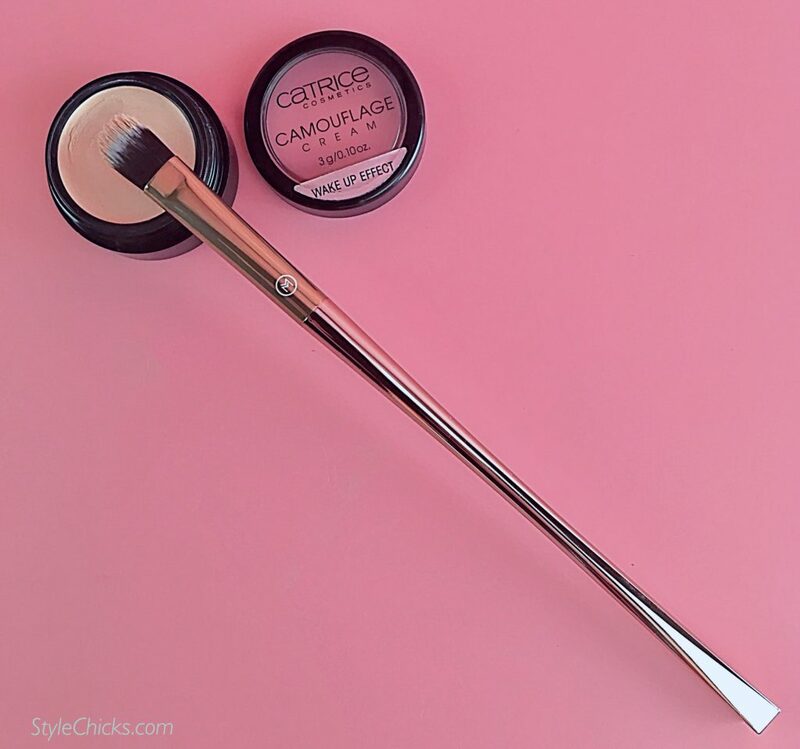 HOW I USE IT: This Flat Concealer Brush gets very nice thin layers of a liquid or creamy concealing product down on the skin without streaks. I find this useful for actual concealer placement, and especially useful for pre-concealing color corrective concealers, such as a light peach shade for purple undertone dark undereye circles, or a green tint for red acne blotches. The Flat Concealer Brush is ideal for applying a very thin layer of pre-concealing color correcting tone such as this peach tone concealer that conceals dark circles and makes the eye look wide awake, but a thin coat is key! 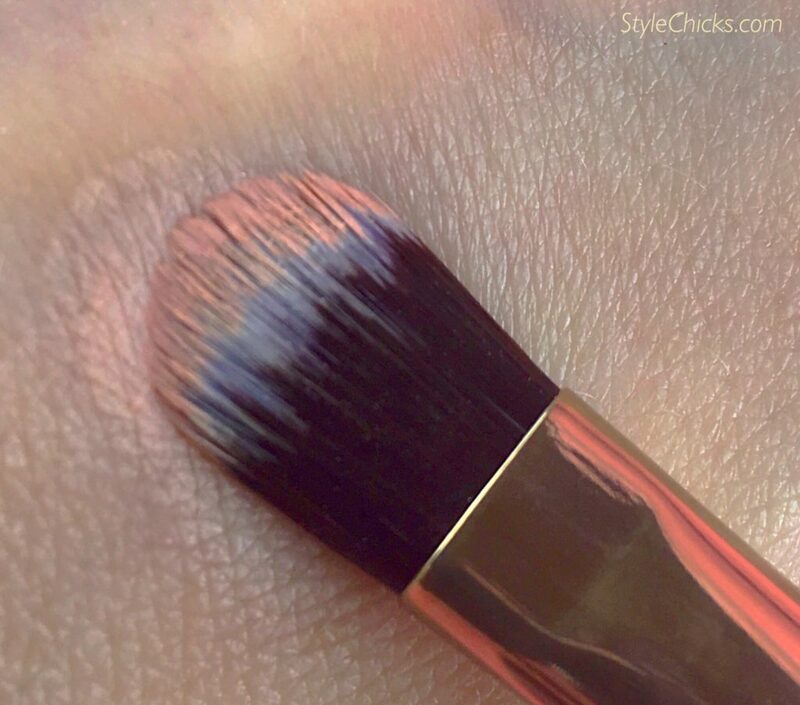 Close up of using the brush to apply peach corrective concealer to an area of discoloration on the skin. Use on dark circles, acne blemishes, discoloration or small bruises to conceal. I find the coverage of this brush, using both the thin tip and flat edge to create layers of concealer that are well blended and very buildable which makes the brush highly versatile for lighter or heavier concealer coverage needs. There are two eyeshadow brushes in this set, an Eye Shadow Brush, and a Blend Brush. The Eye Shadow Brush is seen above at the left, it is the one to use to apply color in a “packing” application on the crease. The other brush on the right is the Blend Brush, which is to blend and use on the entire eye for a base shade. This is especially useful for a smokey eye look. The brushes are soft but defined enough that color goes where I want it. 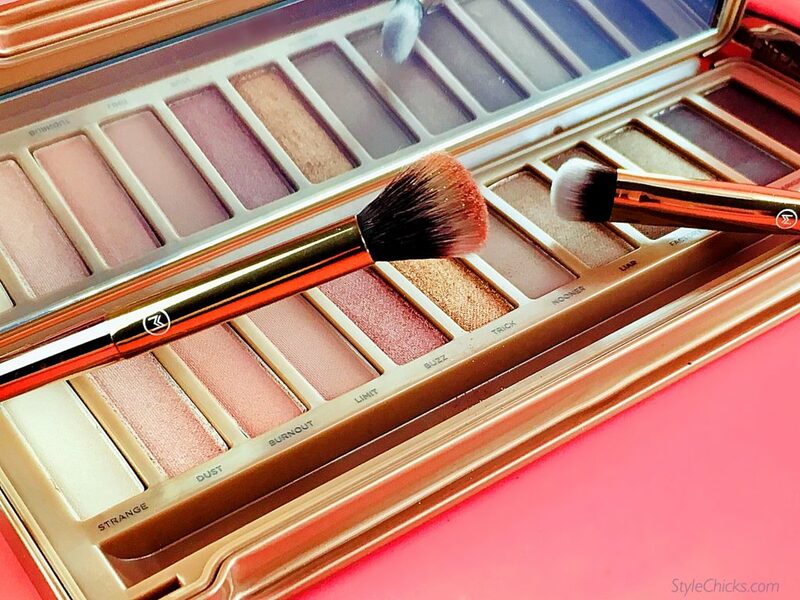 Color loads well onto these brushes, they hold product without dropping powder debris onto my cheek and undereye area. 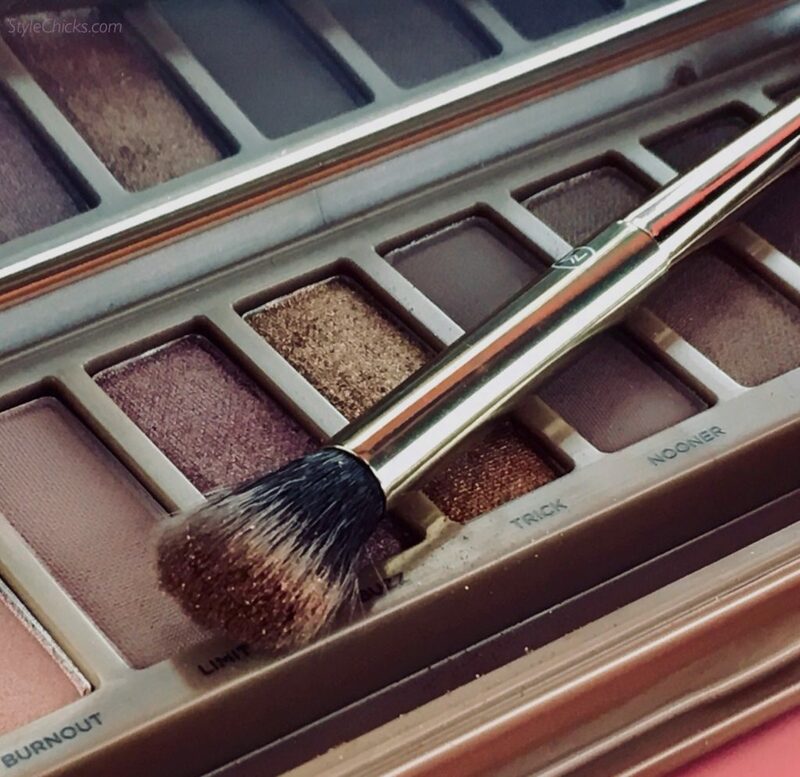 HOW I USE IT: I use the Eye Shadow Brush for darker, intense, or brighter colors that can be messy, because I can control how much product goes on my crease and exactly where it goes. 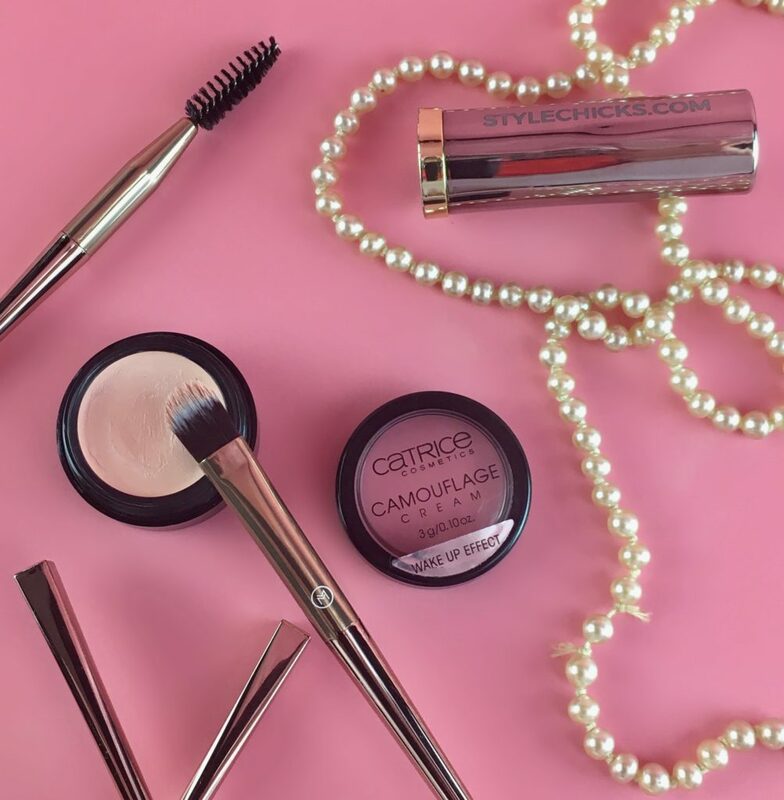 The Eye Shadow Brush is precise enough to perform an eye makeup trick for heavy or sagging lids: By tapping it all along the contour of my crease, but just above the crease, it provides a little bit of lift to the eye, as the crease seems higher. It can also be used the traditional way of aiming for the crease itself and moving back and forth inside the crease, windshield wiper style. Blend with the brush on the right. Even I can do a smokey eye look with these brushes because they don’t have product fallout during application. I like being able to wear darker and deeper, moody shades and metallics like these, but I hate when they get all over my eye and fallout onto my cheeks. These brushes reduce fallout, making for easier application. I am excited to try these rich plum and copper tones in the fall! 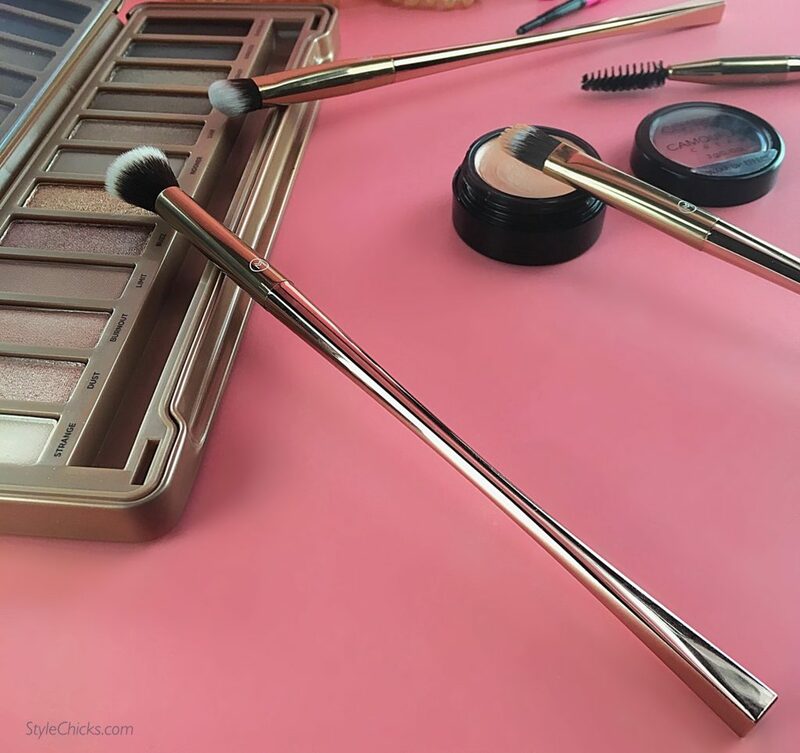 Makeup application is so much easier, precise, and hygienic with a good set of brushes. 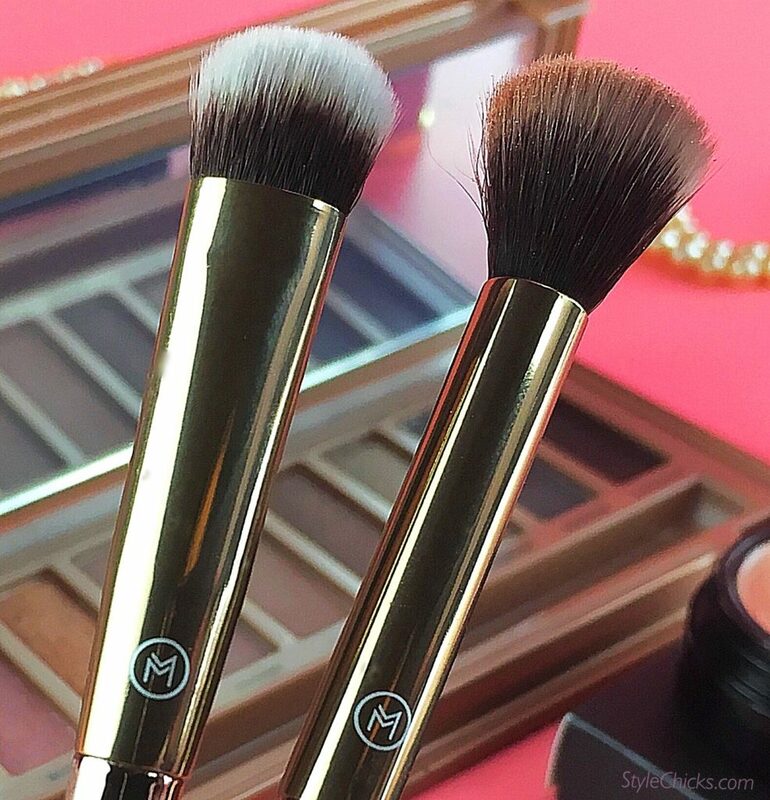 These four brushes together make for much easier makeup application as well as better results. My makeup looks more natural because it is precisely applied and better blended. I love the long handles for better control and they are also sleek and attractive. The brushes withstand washing and hold product well. An excellent addition to the makeup bag of eye makeup novices and ninjas alike! One time use. Can not be combined with any other offers. No cash value. 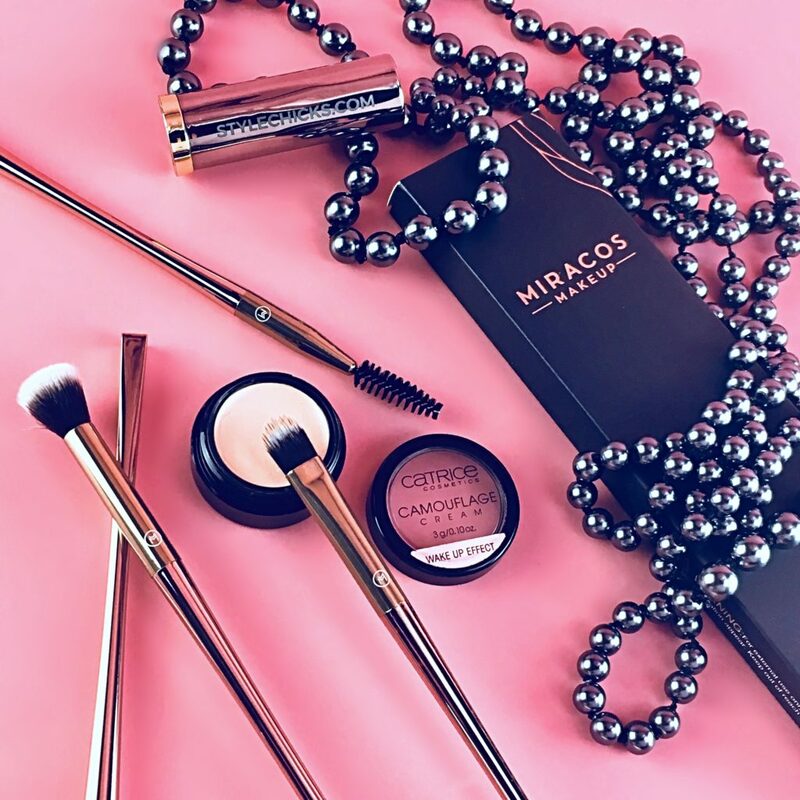 Style Chicks received the Miracos Makeup LIMITED EDITION: Essential Luxury Eye Brush Kit for testing and evaluation purposes and we were compensated for our time and effort. However, all the opinions expressed herein and the photos are 100% ours.